‘Start-Up’ is a television program that offers it’s viewers an up-close and personal look into the world of the modern American entrepreneur. As complicated as starting a business may seem, our goal is to de-mystify the process through the experiences of Americans who have done just that. ‘Start-Up’ is a completely original show and the first of it’s kind. It gives the viewer a unique opportunity to see how normal people, just like them, are rebuilding America, one business at a time. Air Temple Arts is a featured business in Season 3, Episode 3. Watch the whole episode below, or just the Air Temple segment starting at 13:00! We are featured in the September 2015 issue of New Haven Magazine as one of their Dreamers and Doers! 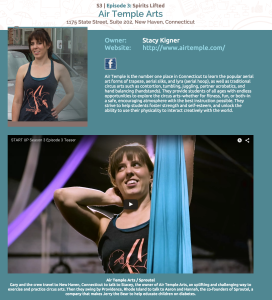 Air Temple has been featured twice in New Haven’s premiere blog in 2015! Once in a feature on the studio and once for our show Special Relativity: Circus through Space and Time! Read the Nutmeg’s teaser on Special Relativity here! New Haven’s newspaper ran a feature on our full length show, Special Relativity in January 2015. ‘Surprise No. 1: There’s a circus school in New Haven. Surprise No. 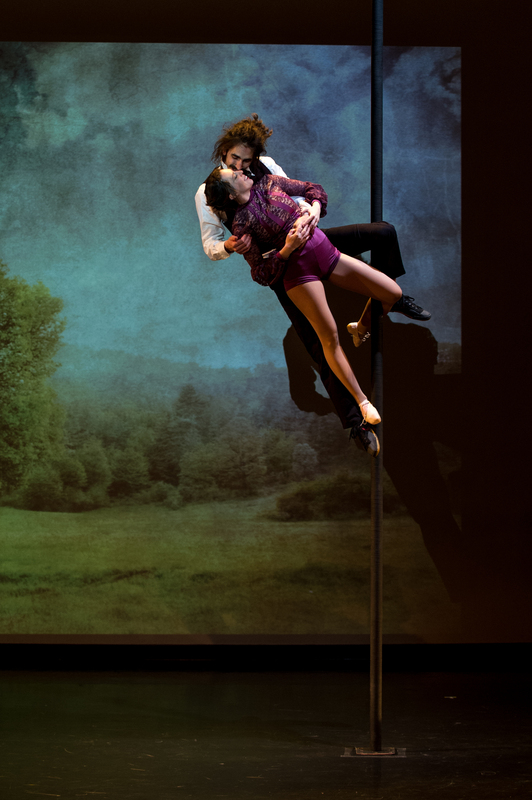 2: It’s about to premiere its first professional show, Special Relativity — Circus Through Space and Time this Friday and Saturday at ACES/ECA Arts Hall on Audubon Street. 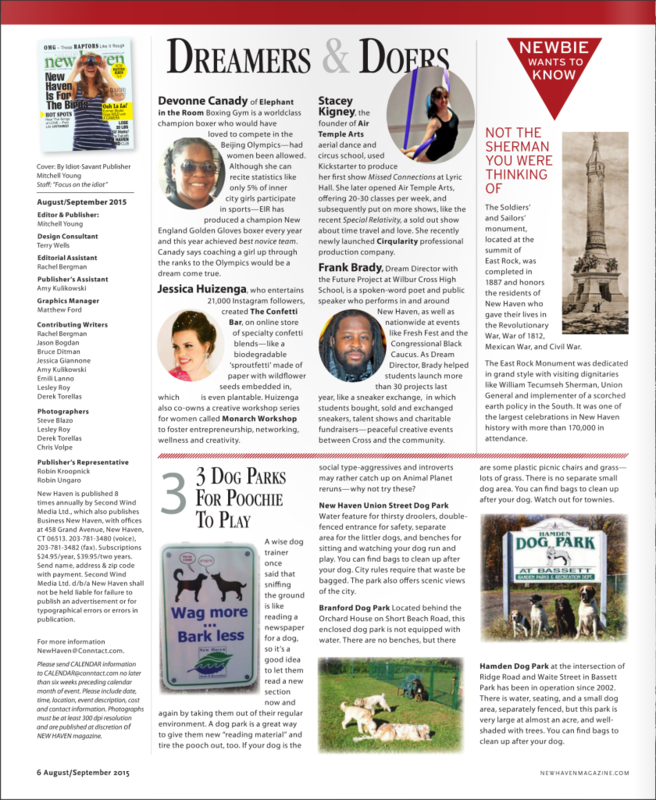 We were featured in the March 2014 issue of New Haven Living! We were a spotlighted business in a May 2016 edition of the paper. 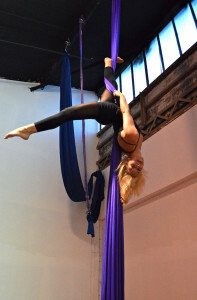 ‘Stacey Kigner’s goal is to make circus accessible to everyone. 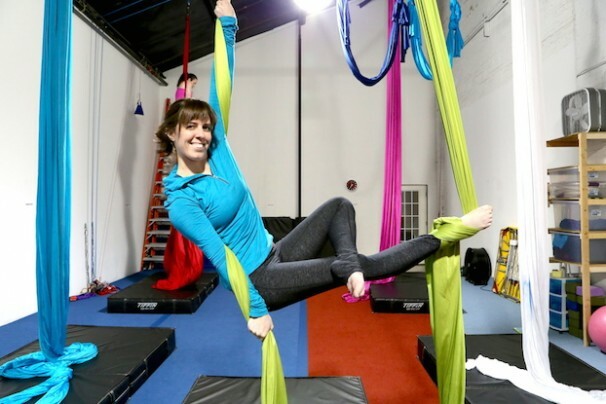 Her business, Air Temple Arts, teaches circus and aerial arts on Research Drive in Woodbridge…The 2,000 square foot main studio is colorful – the floor is covered nearly wall to wall with a bright blue mat and brightly colored “aerial silks” hang from the ceiling. 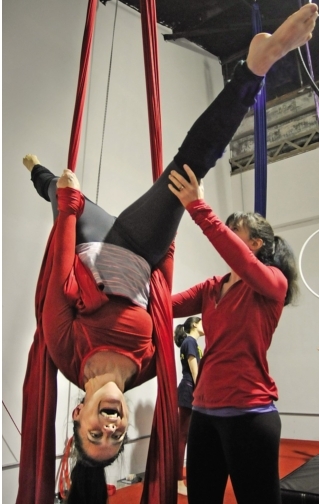 We were featured in a YDN article on local circus in March, 2015! ‘Since opening in January 2013, Air Temple Arts, New Haven’s first aerial dance and circus studio center has had to move locations twice in need of more space to hold class and training hours. They opened with only 19 students and a few classes a week. Now, the studio trains more than 115 students in its current session with eight different instructors. 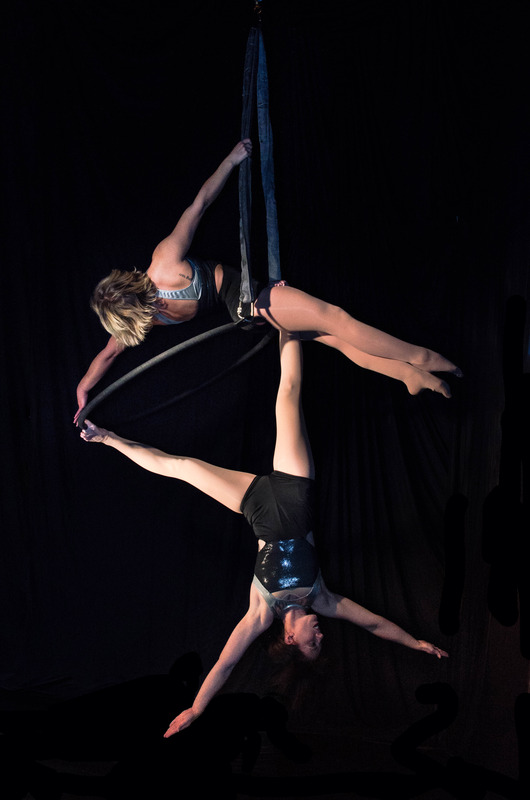 Classes, held in the evenings, cover hand balancing, Chinese pole, dance techniques, contortion, kid’s circus, partnering, and cirque fitness. Stacey was the subject of 2 page Q& A feature in the Pioneer Press in Jan 2016. Q: What has been most rewarding about your career and what has been most challenging? The community that’s sprung up around Air Temple has been the best part of this endeavor. The student showcases that we do continue to be my favorite thing about the school. Seeing these students, a lot of them who come in very nervous and weak and not trusting their own bodies, perform a piece that they’ve written themselves and put months of work into is absolutely amazing. I would say the logistics have been the most challenging. Creating a circus community where there isn’t one means a lot of potential business opportunity, but it’s also very hard. Also trying to find a space that I can afford, versus what the studio requires (a large open square footage, generally ceilings in excess of 20 feet) has been really challenging. We’re expanding for the second time, and hopefully the last time. Our new space is amazing, and a huge step up, but it’s also extremely expensive.